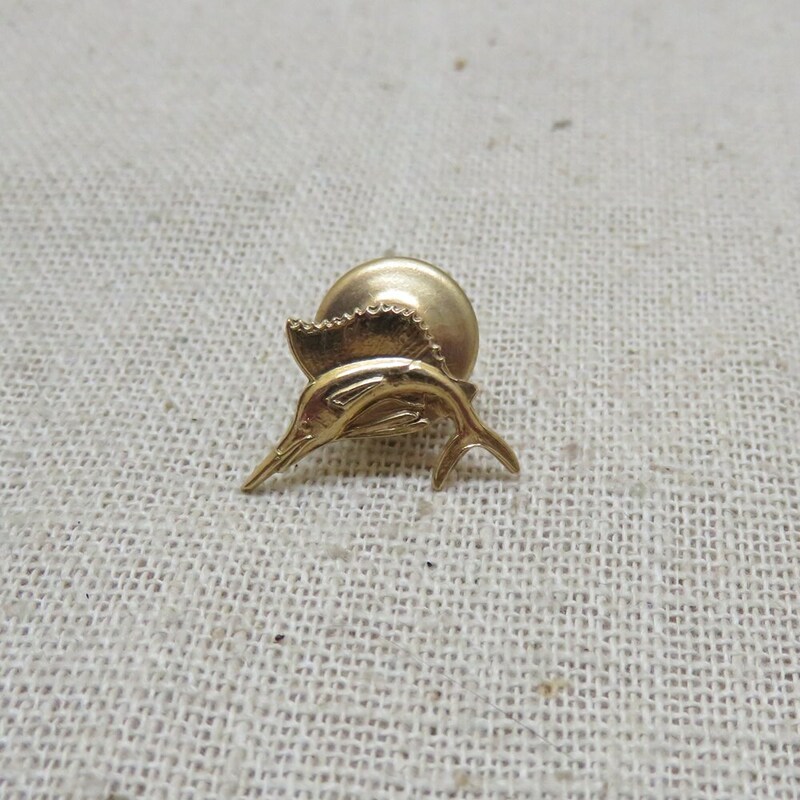 This very cool swordfish tie tack is in excellent condition. It features a very detailed 14KT Yellow Gold sailfish measuring 1/2 inch high and 7/16ths inches wide. It is marked, 14KT on the back and can be used as a tie tac or a tiny lapel pin. This handsome fellow will come in a lovely little gift box for stellar gift giving.